Back to the box from Wes. Yesterday, the temperature starting dropping. Now, the skies start growing darker and blacker - like the color of the Sox uniforms. So let's look at the White Sox Wes sent over. Going over the card starts, all total Wes dropped 95 cards that were post 1980. 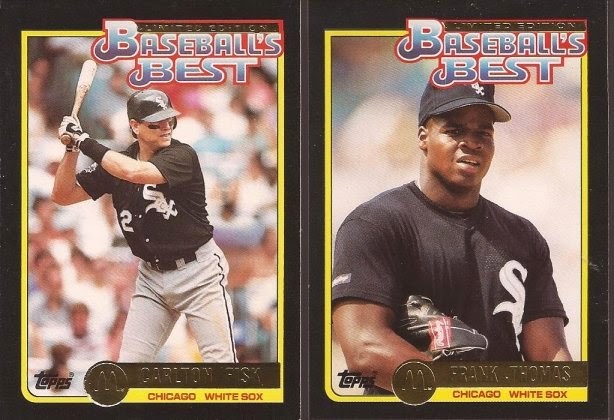 There were plenty of pre 80 Sox, but those are another day. In fact, I'll spread all these cards over a couple posts. 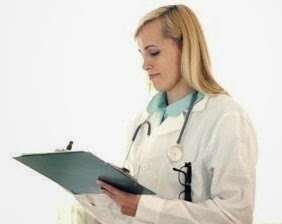 Everything is scanned, but I'm not going image crazy. So in no particular order, but some grouping, let's see the newest Sox cards in my collection. 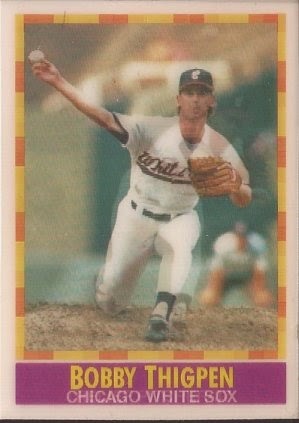 These are the cards that just missed the pre 80s cut off for the future vintage post. I have always liked that Squires card. Something about the off centering and the bland, spring training ball field. 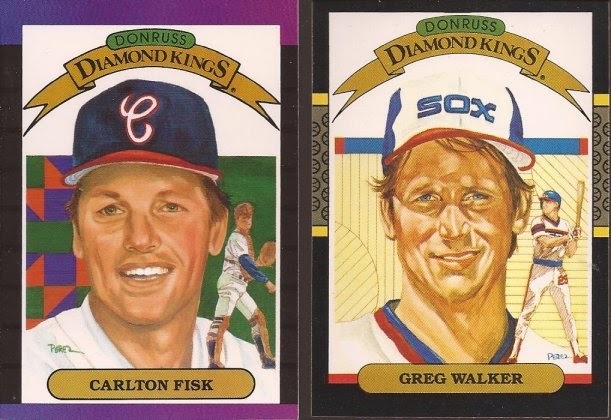 So when you think "Diamond Kings", does the name on the right pop in your head as often as the one on the left? A single Sportflix was in the mailing. I followed Nick's advice and scanned it sideways. Still looks weird. 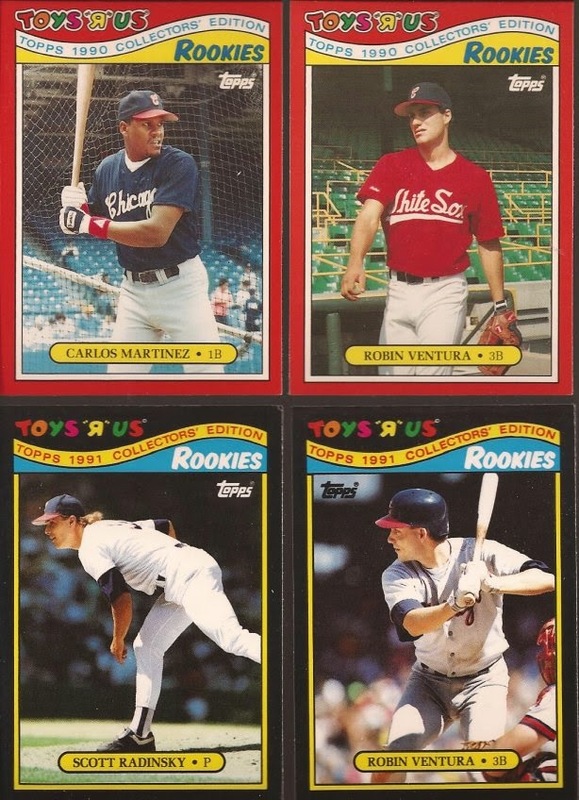 As much as the junk wax era flooded the market with cards, I miss these oddball sets like Toys 'R Us, Kay-Bee, K-Mart and others. There is a nice charm about these, and sometimes the design is better than what the manufacturer put out that year. Even McDonald's put out some ok cards. 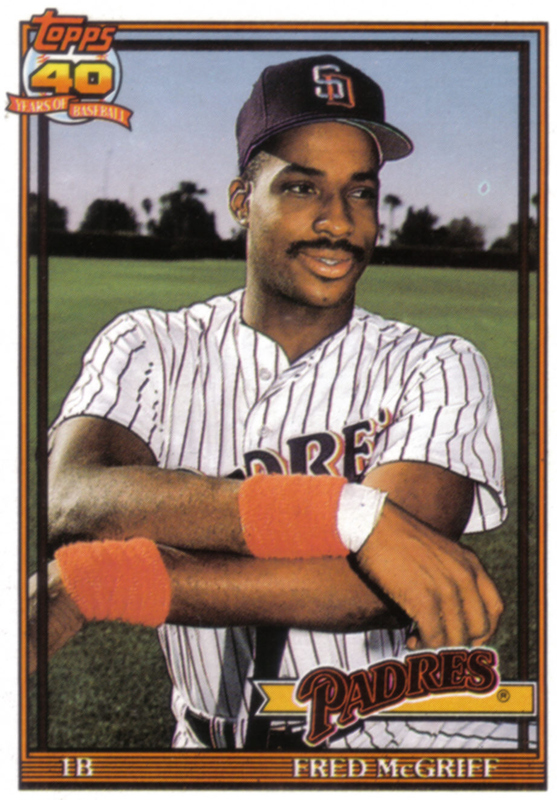 Upper deck was well represented in the shipment. I never noticed how odd the Sox logo looks in regard to the edges of home plate. Chrome-y. They really should release that set on the right non-Chromed. It's just bizarre how it is. Carlos....the promises you held for us, and ultimately broke our hearts. 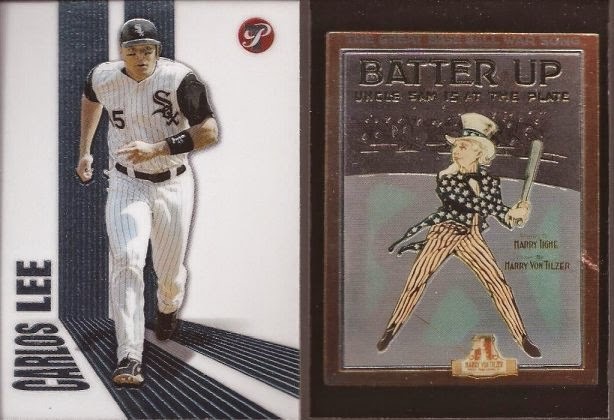 Going to end the first half of the Sox cards with this matching pair. Scan does them no justice - they are a bit cooler in person. 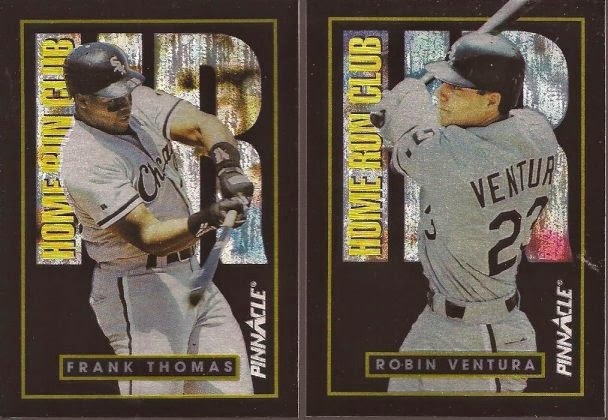 The "HR" behind them is foiled, and the whole card has a bit of a Chrome feel. I wonder what the whole set looks like. Thanks for reading. Come back tomorrow - set your clocks to leave the docks, grab your fox and your bagel with lox and see more Sox I pulled from the box. A very Dr. Seuss like ending to that part of the box. Can't wait to see the vintage! Getting all those toy store sets was a big part of my childhood. Always cool to see them in trades. Jay is a mad man!